This area is a critical habitat for around 134 bird species, especially for the visiting Migratory Shorebirds. Census of shorebirds conducted by Ricki Coughlan Avian Consultant, reveal the area is of National and International importance under criteria set out by the National Plan for Shorebird Conservation in Australia. Australia is a signatory to the CAMBA and JAMBA protection agreements. Protection of migratory birds visiting Long Reef was necessary. The Warringah Council then proposed the area be declared a Wildlife Protected Area. 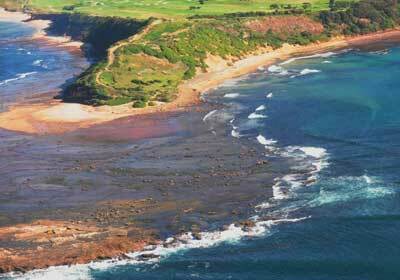 The proposal was supported by Reefcare Volunteers, The Long Reef Golf Club and passed by Warringah Council in May 2007. Reefcare also proposed and gained approval to build the “Greenlink Walk” around Long Reef’s Griffith Park to link with the existing Bicentennial Coastal Walkway. This enabled walkers – especially those with dogs, to walk around the headland up off the reef’s rock platform. No collecting or harming of any marine plants or animals -The Aquatic Reserve Is a NO TAKING AREA. Declared in 1980 as a protected habitat. Human activities can impact on shorebirds during feeding before migration, especially during the critical months of January to April. This means the birds may not gain enough conditioning for migration and/or breeding.